Ride Support offers a gradual increase in miles and endless climbing in areas such as Great Western, Bonsall, and Escondido. In ad. Build up your endurance through our team rides. We will get you fired up for any of the upcoming rides in Southern California. * Weekly routes that gradually increase in miles and climbing. Let Cycling Adventures lead the way up Palomar Mountain. Whether it is your first time or a regular workout join us for the climb! 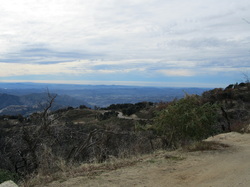 Palomar has an elevation gain of approximately 5500 feet and is located located about 70 miles north of San Diego. The 12 miles of continuous climb is ideal for strength training and building endurance. We will break the climb up with a Sag stop at the half way point so you can Refuel, Refresh and then Resume your cllimb to the top of the Mountain. There will be plenty of photos taken to memorialize your climbing and endurance success. Join Cycling Adventures for a fast and flat ride to Desert Tower in Jacumba. We will explore the 84 year old tower with a three level "museum" highlighting A sparse and yellowing collection of prints of paintings depict the Old West, the Revolutionary War, and randomly celebrated astronauts and military units. Historic black and white photos provide glimpse of the Tower under construction. The view from the hurricane deck is breathtaking with miles of old highway 80 running across the desert floor. 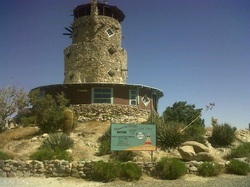 The real attraction at the Desert View Tower is Boulder Park, a jumble of rocks weathered by wind into caves and craggy walkways. Dig out the ugliest jersey in your closet and join Cycling Adventures for an afternoon of Fun & Laughter! We will parade our jersey's proudly up the San Diego coast and share stories on how we came to own such expensive & hideous kits. Lunch stop scheduled at pizza port on the return trip.